Maps with R (II) | Omnia sunt Communia! In my my last post I described how to produce a multivariate choropleth map with R. Now I will show how to create a map from raster files. One of them is a factor which will group the values of the other one. Thus, once again, I will superpose several groups in the same map. First let’s load the packages. Now, I define the geographical extent to be analyzed (approximately India and China). 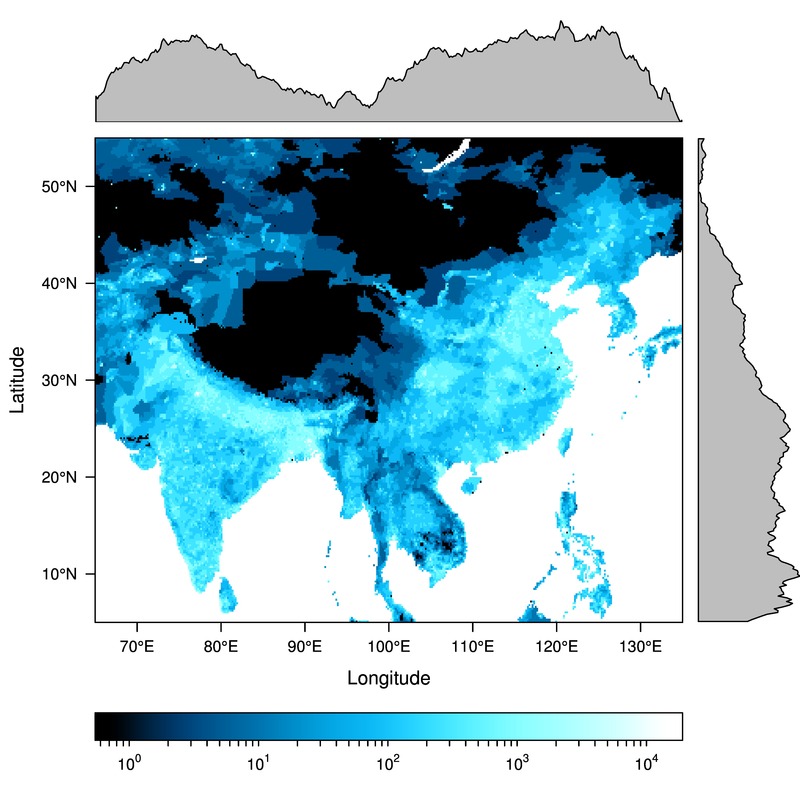 The first raster file is the population density in our planet, available at this NEO-NASA webpage (choose the Geo-TIFF floating option, ~25Mb). 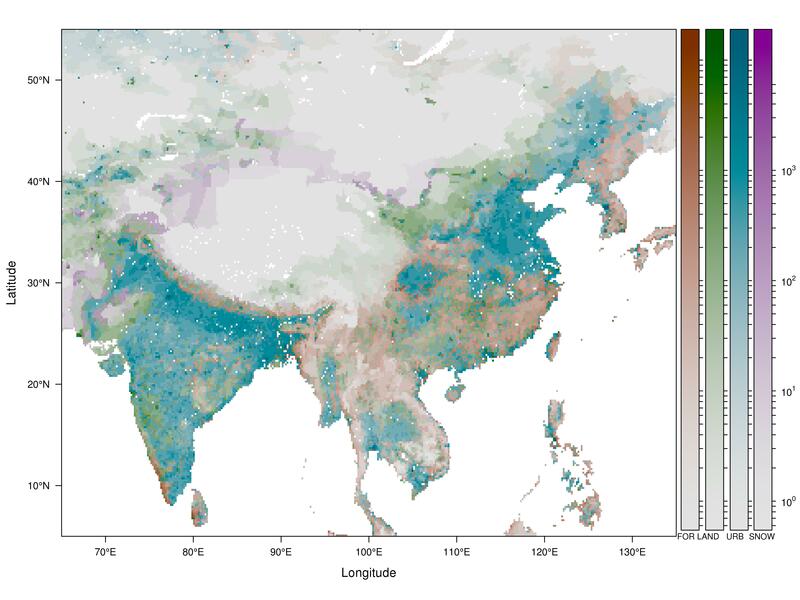 After reading the data with raster I subset the geographical extent and replace the 99999 with NA. EDIT: Following a question from a user of rasterVis I include some lines of code to display this qualitative variable in the map. EDIT2: raster and rasterVis are able to work with categorical data using ratify. 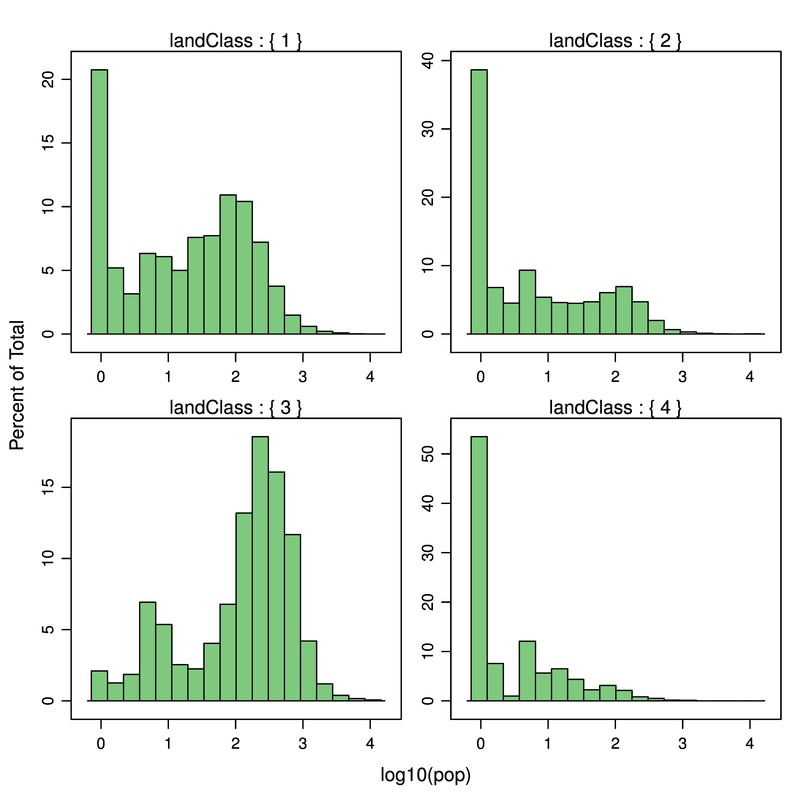 This histogram shows the distribution of the population density in each land class. And that’s all. The rest of the code is exactly the same as in the previous post. If you execute it you will get this image (click on it for higher resolution). 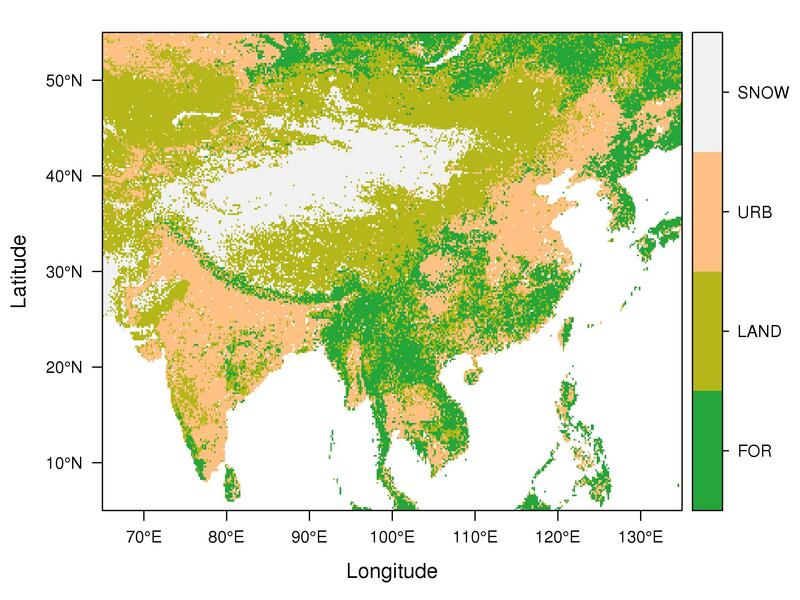 Pingback: Mapping Flows in R … with data.table and lattice | Omnia sunt Communia! Well Done! I’ve been hoping for a raster and geo tiff data tutorial and this worked perfectly. Thanks for posting it and excellent work on the finished product.